Think this image was staged? Think again. One of the most obvious consequences of staging this picture is the formation of a snowy mess of angry people at the end of the slope. Well then, how did this photographer ensure that every one leaves the slope happier than before after a real good run? The answer – compressing plenty (and we mean PLENTY) of time-lapse photographs. 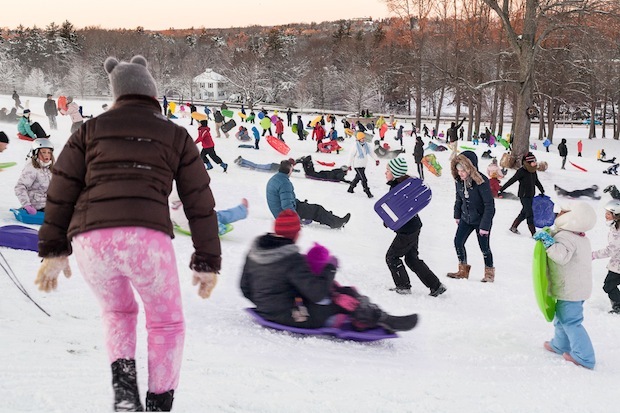 What photographer Pelle Cass has essentially created, as we at Memoto would like to call it, is an excellent lifelogging project. He has managed to capture the emotions of so many people doing the same thing at different times into a single final frame. View his other works here. Now we are really excited to see what kinds of photography projects would come out of using the Memoto Lifelogging Camera! If your interests lie in backpacking around the world, rather than thinking of creative photography projects, then Google has just the right task for you! As you travel to exotic places, logging them with Trekker, Google’s wearable backpack camera system, could allow you to share your exciting journey with the whole world. This wearable camera has 15 lenses angled at different directions so that the images can be stitched to form a 360-degree panoramic view. 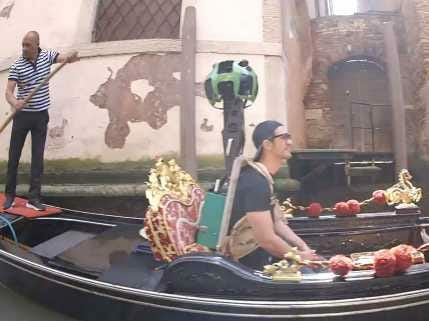 These images will then help Google to improve its Street View function, as they extend into areas that cannot be reached by vehicles. Sound awesome already? Sign up today! Remember the banning of the full-body swimsuits in 2010 that allegedly resulted in the breaking of an astounding number of world records? Although the above looks similar to those swimsuits that Michael Phelps and others wore in the 2008 Beijing Olympics, this Hexoskin suit serves quite a different function. With its all-textile sensors, Hexoskin can be used by athletes or quantified self fans to log their vital signs such as heart rate or breath volume, and have this information simultaneously delivered to one’s iPhone or iPad via Bluetooth. We think that integrating the Hexoskin with existing lifelogging apps would be good. What do you think? Read more: Hexoskin–A Second Skin for the Quantified Athlete And Maybe Even You! If you simply cannot get used to wearing a full body suit, then perhaps you would find yourself as part of the majority, who prefer to wear tech devices on their wrists, clipped to clothings or attached to shoes. Although speculations have it that one’s wrists will be dominated by the Apple iWatch in future, we thought that this smart watch could be potentially useful for all worrying parents. Filip, a smart locator and phone for kids, provides the basic functions required for parents to stay connected with their children at all times even while they discover new places. Excellent idea! Here’s sharing an awesome fireworks video to celebrate. Have a good weekend! Learn more about Memoto on our support site!